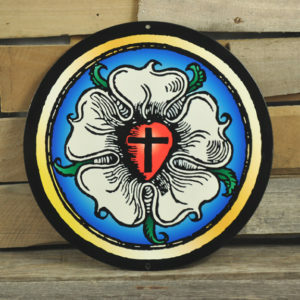 Once the personal seal of Martin Luther, The Luther Rose has become a symbol of the Reformation & its theology that still points to the incredible truth of the Gospel today, just like it did 500 years ago. 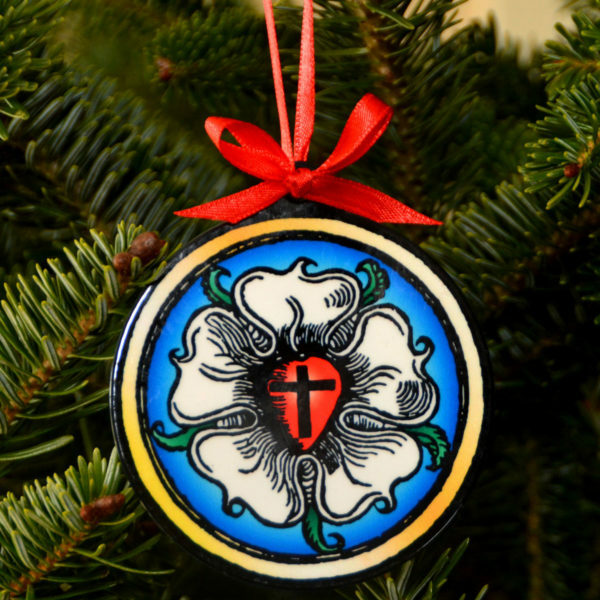 Now YOU can display your Solid Theology this Christmas with the New Luther Rose 3″ Ornament! Made from solid heavy duty steel, this beautiful ornament is printed on both sides with a full color design baked right onto a heavy gauge, laser cut steel plate. 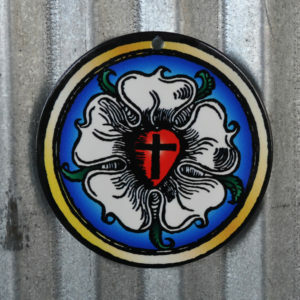 It will look great on your tree and be a wonderful reminder of the 500 year anniversary of the Reformation. 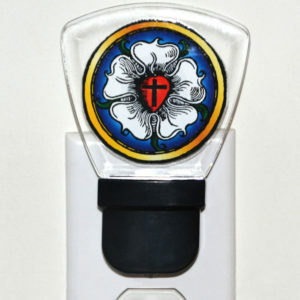 Great gift for kids and Pastors! Not a breakable glass ornament–Safe for kids!